Ausure Port Melbourne’s director is Gaye Legudi. Gaye’s extensive knowledge in finance led her to a part time Insurance advisory role within Swan Hill just 2 years prior to opening up her own business. Gaye spent many years managing all administrative and financial aspects of her Husband’s business, which gave her a great understanding of how to develop, maintain and expand her own successful business. 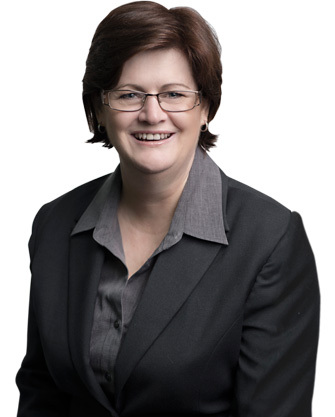 Gaye started her our Insurance Business in March 1998 trading as, Rutherford Street Insurance Services which is based in Swan Hill, Victoria. When the business first opened, Gaye was the only one working in the office, although over time Gaye has employed a number of staff as her business has grown and developed. Gaye now has six staff members helping her provide exceptional service to her ever-increasing client base. Gaye’s son Josh and her daughter Renae are part of Gaye’s staffing assembly, with both of them finding their niche specialties within difference areas of the business. In 2013, Rutherford Street Insurance Services became an authorised representative for Ausure Insurance Brokers; this opened a lot of doors for the business as it gave an opportunity to access a wider range of Insurers. Being part of the Ausure group means the Gaye and her staff are now part of one of Australia’s largest and most experienced networking communities in the Insurance industry. Due to the opportunities that come with being part of the Ausure group, Gaye opened a second office in Port Melbourne Victoria, naming the business Ausure Port Melbourne. Ausure Port Melbourne opened in February 2013 at 11/128 Rouse St, Port Melbourne. This office is run by Gaye and Josh in conjunction with Rutherford Street Insurance Services.